Often when you are reading a topic, comments, or other posts, you will see team members replying. 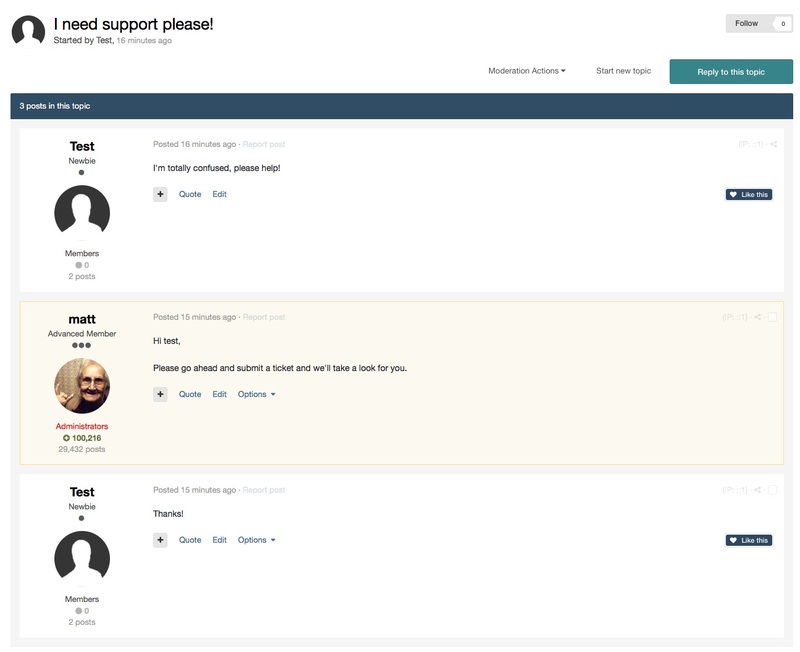 Although IPS Community Suite already allows groups to set up custom images and member titles, these replies can get lost in the noise. Within IPS4, you can switch on post highlighting per member group. This makes sure the reply stands out from the rest of the replies, as shown in the images below. Of course, this feature works everywhere; from calendar comments to article replies. The feature is switched on via the Group form in the ACP. You can get to this from Members>Members>Groups, and editing the group you wish to highlight. This can be fount on the content tab. Settings for the color of highlighted posts, can be found within your themes settings in customization>Appearance>Themes, by editing the relevant theme, and editing the 2 settings shown below, in the "front end colors" tab. We have also ensured that theme designers can get the most out of the system by embedding a data attribute noting the group of the author. This means that you can add custom CSS to use different colours per member group. We think post highlighting will be a simple way to bring attention to member posts in groups that you define.